Febreze PLUG cleans away odors, instead of simply covering them up. Plus, this air freshener plug cleans away stinks for 1200 hours with just one pluggable refill (on low setting). Simply plug into any outlet to clean away stinks with a fresh, citrusy twist. 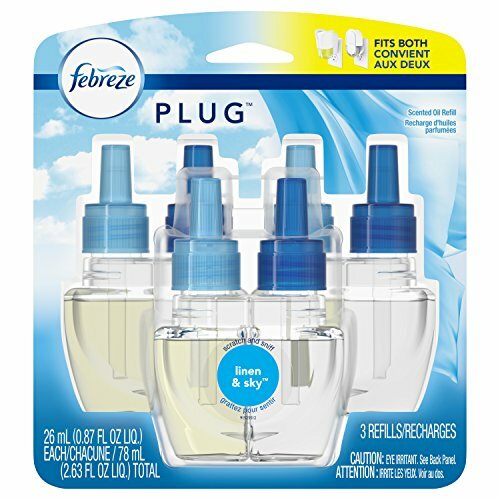 Febreze PLUG air freshener refills are compatible with both the classic and newly redesigned Febreze plug warmers. Like what you smell? Febreze is also available in Febreze AIR (air freshener spray) and Febreze CAR (car air freshener vent clip).